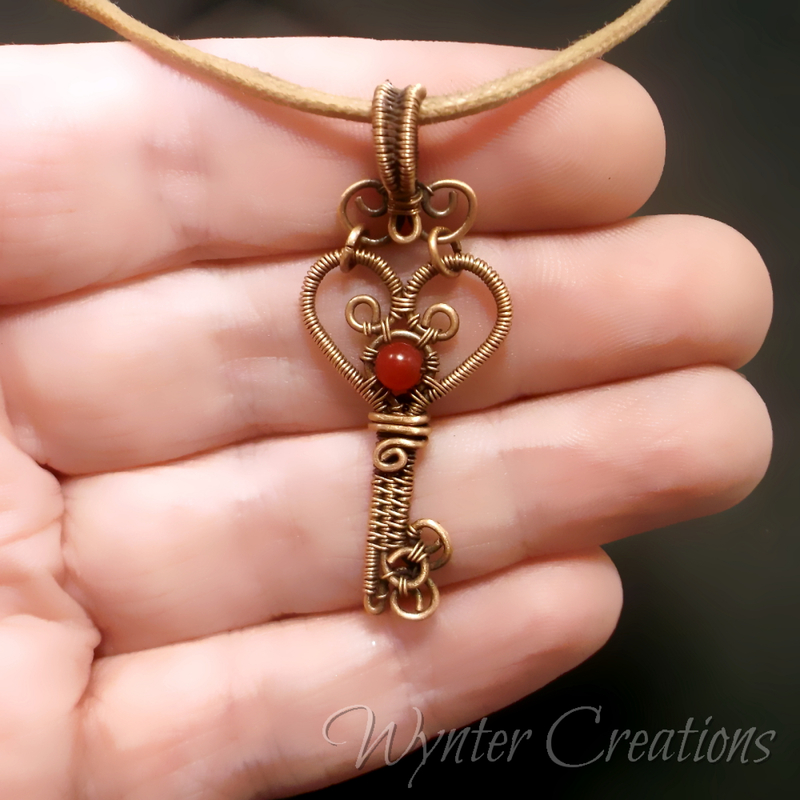 A cute little heart key pendant is a great way to tell someone "I love you!" 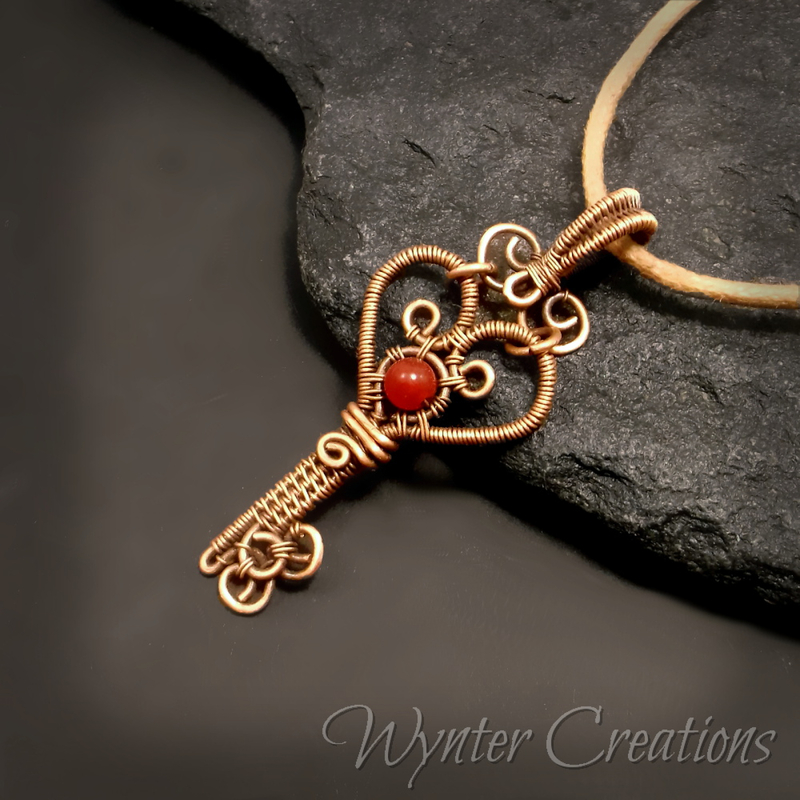 This pendant features a bright red Malaysia jade bead at its center and a pretty woven bail. 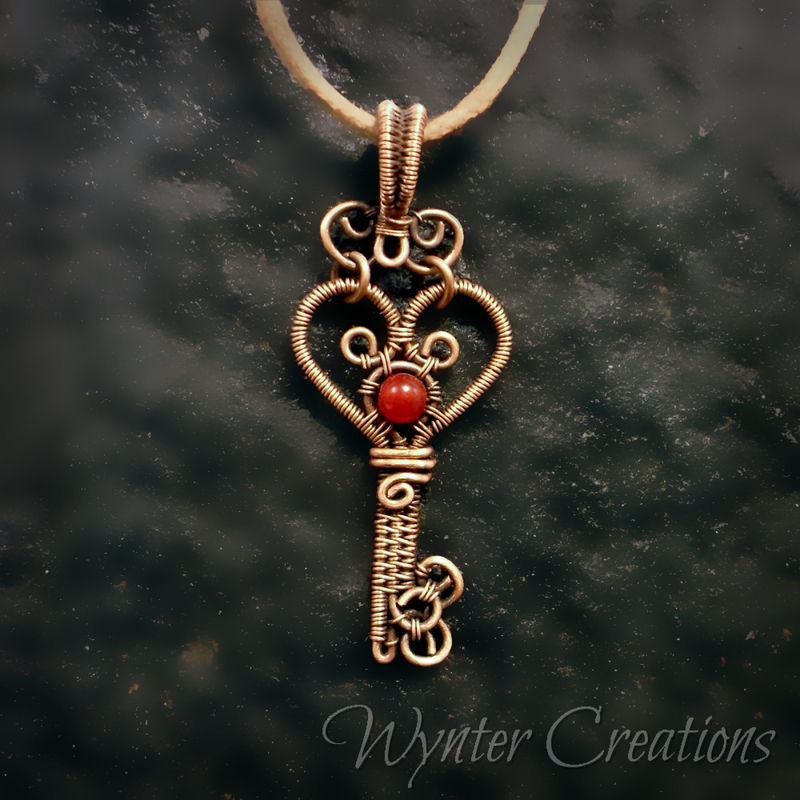 The Heart Key pendant measures 4.5 cm long, and 2 cm across at the widest point. 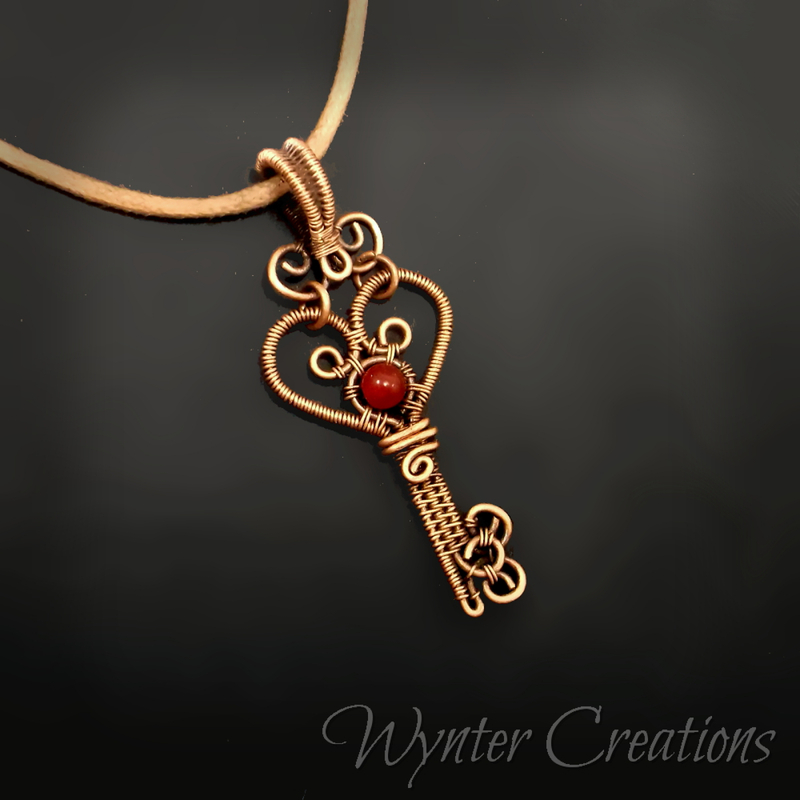 It comes ready to wear with a necklace cord in your choice of color (tan or black) and length.